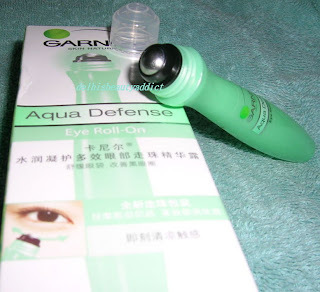 This range is made with grape water, apple water and natural vitamin E. I think it is Garnier's best so far, in my opinion. I only hope they launch this range in India too, because the Essence is becoming my holy grail "right after cleansing" product. Actually, I thought of buying two jars of the essence instead of the cream at first, but decided to make a wiser decision. NOT!!! Don't get me wrong, the cream is nice too. It's just that I've fallen in ♥ with the essence. Eye Roll-on - It feels good to roll a cooling ball around my sensitive eyes that always sting, but that feeling doesn't last for long. I can live without it, to be honest. Because, apart from moisturizing my eyes and cooling them for a minute, I don't see any difference in their appearance. ***DO try the Essence girls and boys ('coz it feels good after shaving too.) I bet you'll love it! thanks for reviewing this product line Cynthia!! :) i'm so tempted to try out the essence! i'm currently using Dr. Ci: Labo's aqua collagen gel. but it is pretty expensive. would say.. 4x the price of garniers!! 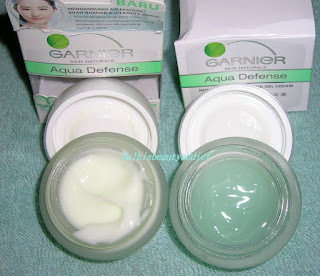 thanks for the reviews~ just by the pictures, the cream and essence look so soothing! Hi! 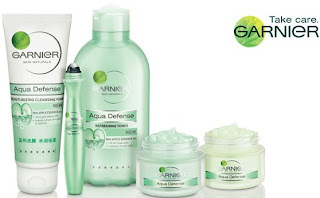 I LOVE Garnier skincare products, but I've never heard about this range before. Is it new? Maybe it's just not available where I live yet. But it definately looks nice!